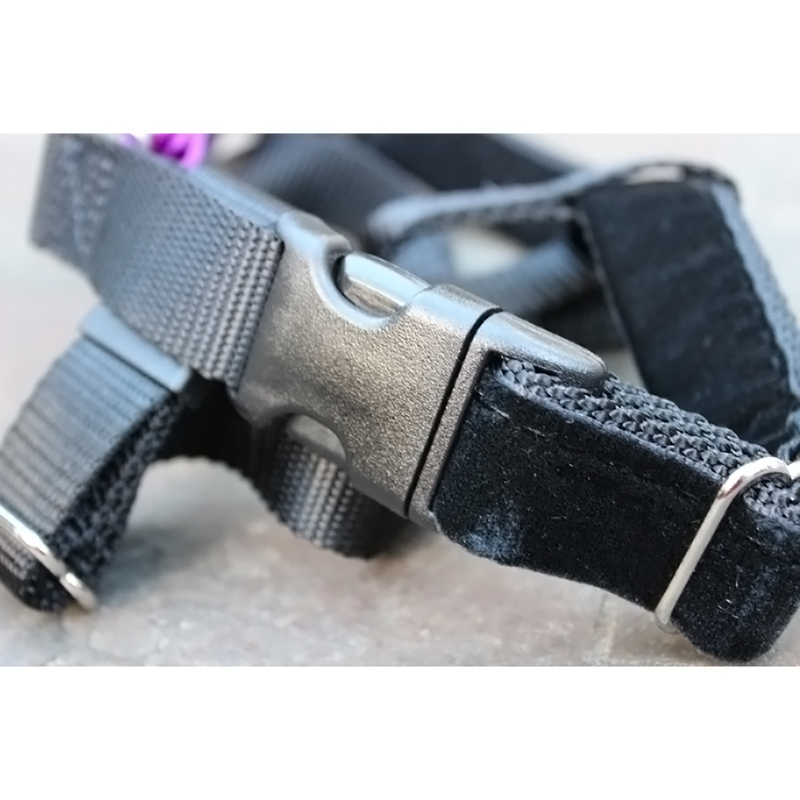 Featuring hand-sewn, high quality, durable nylon and velvet fabric and made in the USA, the Positively No-Pull Harness comes with a lifetime warranty and has been specifically designed for ultimate effectiveness while maintaining comfort for your dog. Leash pulling is often successful for dogs: when they pull and are allowed to get to where they want to go, the unwanted behavior is inadvertently reinforced. To change this cycle, it is necessary to change the consequences for your dog through the use of consistent positive training tools and techniques. 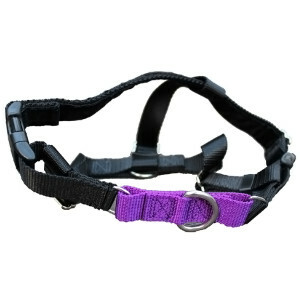 Victoria designed this special no-pull harness to help you solve your leash-walking problems once and for all. 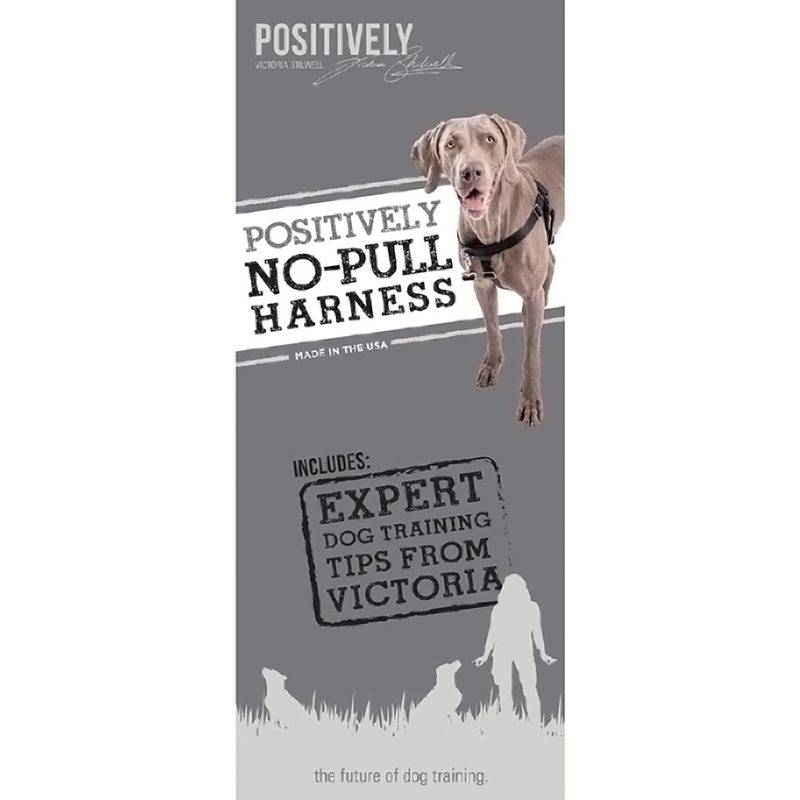 By following the positive training methods included with this harness, Victoria will help you teach your dog that pulling on the leash does not allow him to get to where he wants to go. Instead, you’ll learn how to positively reinforce appropriate walking behavior so that you and your dog can enjoy what should be one of the highlights of the day for you both. Featuring hand-sewn, high quality, durable nylon and velvet fabric and made in the USA, the Positively No-Pull Harness comes with a lifetime warranty and has been specifically designed by Victoria for ultimate effectiveness while maintaining comfort for your dog. 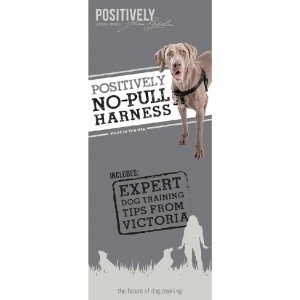 Use this harness to train your dog using Victoria’s force-free, pain-free methods and stop unwanted leash-pulling while helping your dog learn to make the right choices… Positively! Manufactured in the USA by 2 Hounds Design. Received ours last week. It worked straight away. My patterdale has gine from pulling like a freight train to walking on a loose lead at the side of me. Excellent. We have a 120lb 10 month old German shepherd, he is all pup and full of energy. We also have two little mixed breeds that are about 10lbs each. From the very first time we tried this harness it worked wonders. My 110lb wife walks all three dogs now at the same time and no issues. I give this harness my highest possible recommendation. 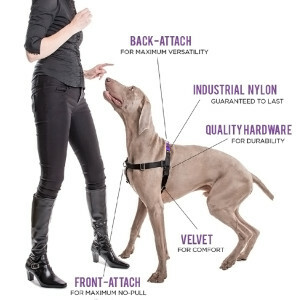 This is really works, my dog stopped pulling a leash almost right away. I would recommend this to everyone, who has this problem.